Oh, it's at 1%? That might be ok. I just wanted it to be super rare. 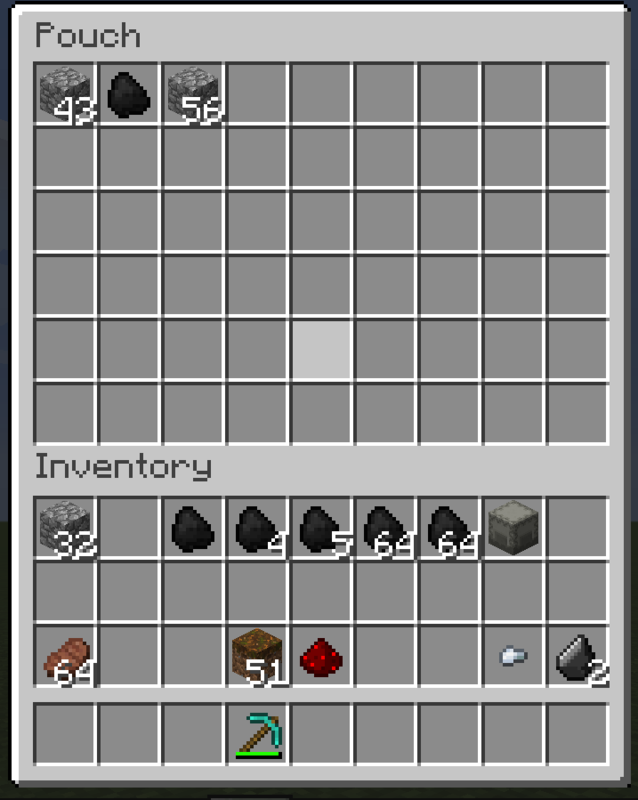 Like, I don't want mining Coal to become a viable solution for getting diamonds. I just want it to be, like, a surprising and joyous experience. If it's already at 1%, then no need for a config for it.I doubt I can make it any rarer than 1% lol. Also, idk if this is possible, but my pack is still utilizing 1.11.2. Is it possible to get the bedrock config on that version as well as 1.12? I should be able to do that but it will be the old mod name "WuestUtilities". Well you guys certainly put a lot of thought and effort into this mod and it definitely shows. I am very excited to be able to add it to my pack. This mod is a good addition to any playthrough. I just released an update for 1.11.2 to include flat bedrock and the random drop chance config. 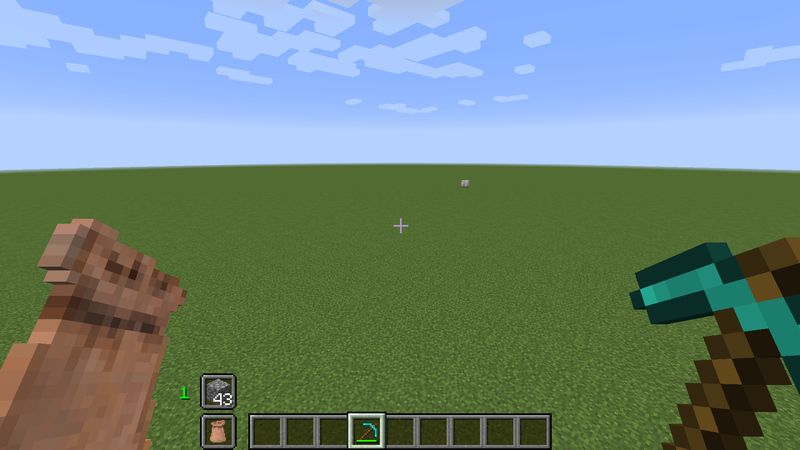 The 1.12 version already had the config option for flat bedrock. I did add the random chance config options as well. A full change list can be found on the file released. I really like your mod and I'm considering adding it to my pack, but I have a question regarding the config file. You have a section labeled "add misc recipes". Is there a way we can find out what recipes those are? Hello and thank you for your interest. I have updated the mod page to provide better information about what recipes are included with the "Misc Recipes" grouping in the configuration file. 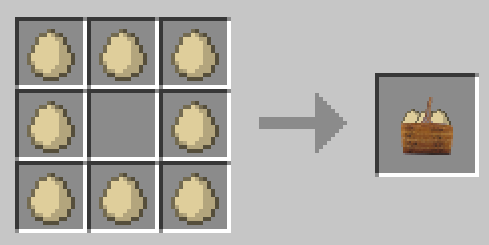 You will find this information in the New recipes spoiler above. I even found out that I missed one, thanks! Ah wonderful! Thank you so much. Your mod fits very well into my pack so I'm excited to use it in the new version. There is just compass, that will simply show North position? I'm sorry, I am not sure what you are asking for. 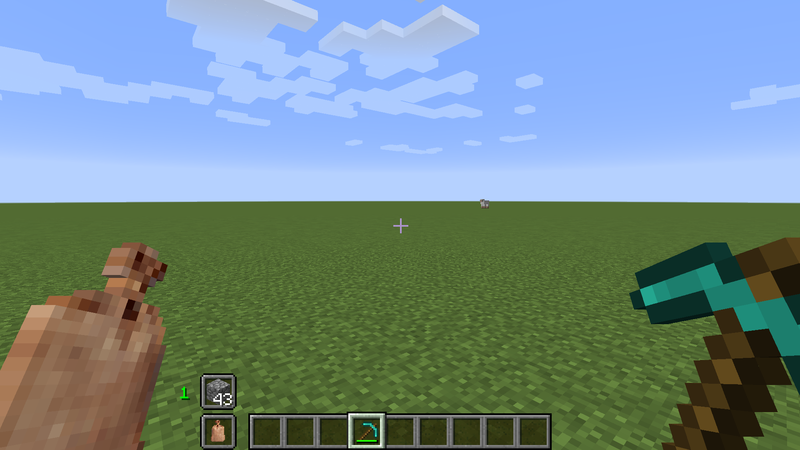 A standard compass is already in vanilla Minecraft, so no need for us to make one. And it never facing north, it always move arrow (only half presented) to spawn point. I don't think this is something we will add. There are many mods out there with a compass (any of the map mods) and even in Vanilla you can press F3 and see what direction you are facing. Changing the forge requirements for this mod has messed it up for me for a while. I'm not going to update until all mods I use offline are updated. Btw for some reason with 1.0.0.1 I cannot craft diamonds with diamond shards. I use jei and for everything since I have so many mods on my computer and the recipe doesn't register. (91+) oddly enough I was able to get all of it to run pretty smooth on my crappy laptop. (2.16 GHz 4core 4gig r with integrated Intel graphics) took months to figure it out. Hopefully all the others will be completed soon. Most are but when I change versions I have to wait for all the performance mods too and that could take a couple months. I am sorry to hear that. Was it because of this last release(1.0.0.2)? For the diamond shard issue, since the Diamond Shard isn't directly craftable you will have to look for recipes for diamond for it to show up using left-click. You can see what recipes Diamond Shard is in by right-clicking it on JEI. I know that. I checked multiple times by looking at recipes for diamonds and it doesn't show. Cannot craft them at all. I was just saying that I'm going to continue to use 1.0.0.1 until everyone updates their mods to 1.12.1. better fps just did and foamfix is as well so I may be doing so tonight. I don't have net at home so I cannot install forge until I go to my gf house :P this is all her fault. She bought the game as a gift for me...the entire world stopped. Hmmm...The only reason why it wouldn't be craftable that I can think of would be because the recipe is disabled in the configuration. Let me know if that is fixed when you update to 1.12.1, I am concerned that this isn't working for you. Removed all mods except for jei and all add-ons, foamfix, optifine and better fps and all recipes are broken for that version. I cannot find the other one with the Swift combat to check if they worked on that one but they are all broken so I'm sure no other mods are conflicting. 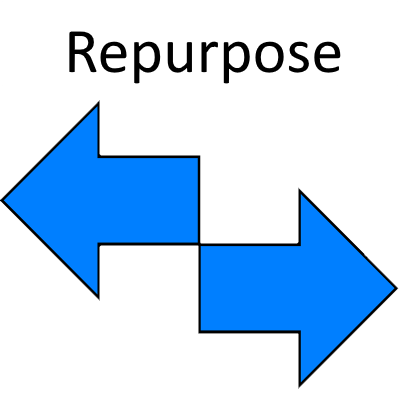 Checking logs I'm finding Registry item: fixed Minecraft items I'd mismatch repurpose: (every item in the mod) a number (init)-> a number (map)...I'm going to try on a new map in creative and check one more time.